FFWPU Poland, Glanow, Poland, 27. December – 3. 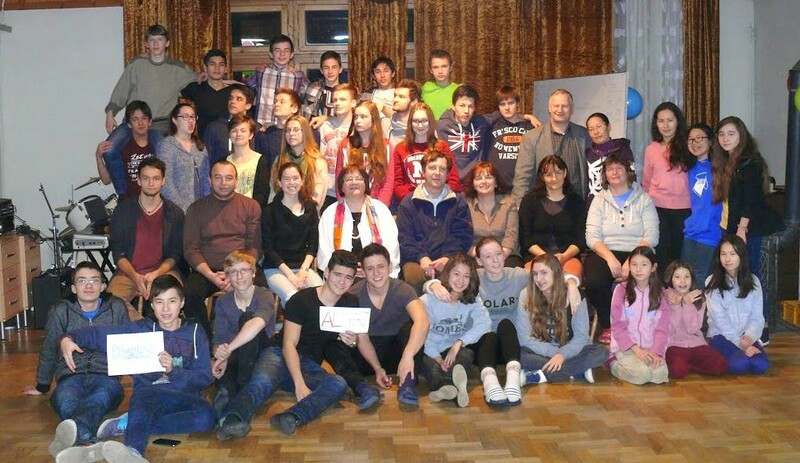 January 2015: This workshop was the continuation of the tradition of seminars prepared by Polish family for second generation during the holiday between Christmas and New Year. As in the previous years we have invited participants 14 – 18 years old. We have asked second generation from other countries to support this event. Finally we managed to attract 27 participants – 18 from Poland and 9 from abroad (mainly Switzerland). It was somewhat less than we had last year. One of the reasons could be the fact that some neighbor countries organized their own seminars at the same time. All participants were organized into 4 teams that were led by elder second generation: 2 of them came from Poland: Maria Brzyska and Kaja Czyszczoń and 2 from abroad Godfried Bruins (Netherlands) and Rieko Tanaka (Germany). Lectures were given by Beatrice Clyburn, Joyce Koetsier was workshop MC, Michał Duran was responsible for music including playing guitar and Sebastian Duran was responsible for sport activities including morning gymnastic. Bogdan and Anna Brzyscy, Elżbieta Duran, Barbara Yurkina and Aram Karagezian were on the workshop fulfilling different functions – overall organization, chef, kitchen support and technical staff. Jacek and MiKyung Czyszczoń together with Krzysztof and Marta Krall were supporting workshop with their prayers. The workshop started on Dec.27th evening with dinner and general orientation meeting. The basic schedule for next 4 days consisted of educational session in the morning and different activities in the afternoon. Staff started each day with HDH and each day was finished with staff meeting. Participants started their day with morning physical exercises followed by morning service prepared by one of first generation staff members. Morning educational sessions consisted of 2 lectures followed by group activities. The lectures on the first day were about True Parents attitude in time of Watergate scandal when “Forgive-Love-Unite” was first used by Father. On the following days Beatrice gave lectures about forgiveness and its place in our personal resurrection process, about loving and uniting with many examples from Father’s life. There were different group activities every day. One day participants gathered in their teams and built replicas of Father’s first hut in Pusan out of stones, gypsum and cardboard. On other days they prepared a performance about forgiveness, discussed about lectures content and wrote songs connected to the workshop topics. The whole workshop was conducted in English, but we translated lectures in Polish language for several participants who struggled with understanding. Afternoons were filled with different activities. On one day brothers went to the sport hall in the next village, while sisters had some aerobic class conducted in the workshop center and went to the swimming pool. On another day sisters went to the sport hall, while brothers went to the swimming pool. 3 times half of the afternoon was dedicated to 4 creative groups which included baking, dancing, drawing and daily surprise group. Each participant could enroll to any of those group, but amount of participants in each group was limited. The fourth day afternoon was partially used for preparation for New Year celebration. Every evening we spent time together: one day we had testimonies, another day prayer with candles. On the third evening we had Purity Ring ceremony conducted by our national leader couple, Krzysztof and Marta Krall. 6 brothers and 1 sister accepted Purity Rings this time. New Year eve was filled with celebration – first performances and then reflections that were put on the flying lanterns according to workshop tradition. There was also time for wishes and joyful welcoming of the New Year. Based on the experience from previous years, when it was not easy to travel on Jan.1st and because many participants had expressed desire to prolong workshop, we decided that this year the workshop will be extended till breakfast on Jan.3rd. The new year celebration divided workshop naturally into 2 parts. This second part started with yut game on Jan.1stmorning, followed by Joyce’s presentation on purity and some testimonies the same day afternoon and evening. On Jan.2nd we had challenge day prepared mainly by second generation. Teams had to first resolve 8 different tasks located in the workshop venue. Some of them were physical challenges, others required cooperation, some memorizing, etc. After this all teams had to find place of the final task using map they got in pieces during the first stage. At the final task all teams had to cooperate together. All the challenges were connected to the workshop motto “Forgive, love, unite” – at each station, prior to fulfilling the task, the teams were supposed to answer the question “What makes it easier for others to forgive you?” and then to share, why do they love other members of their teams (the answers had to be different at each station). Weather was an additional big challenge during this final task as it was windy and rainy with temperature just above the freezing point. 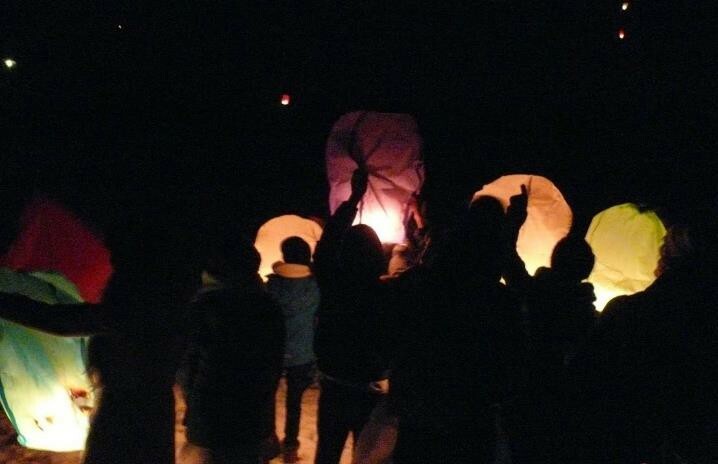 We concluded workshop on the evening of Jan.2nd with reflection time and graduation ceremony followed by movie show. In the morning of the next day all participants left for their homes. Workshop was an intense but good experience both for participants and staff. We had quite some participants that are usually not so much involved in spiritual life of their communities. Also the involvement of elder Polish second generation was much bigger than ever, it was for the first time that they took responsibility for so many functions, including those of team leaders. 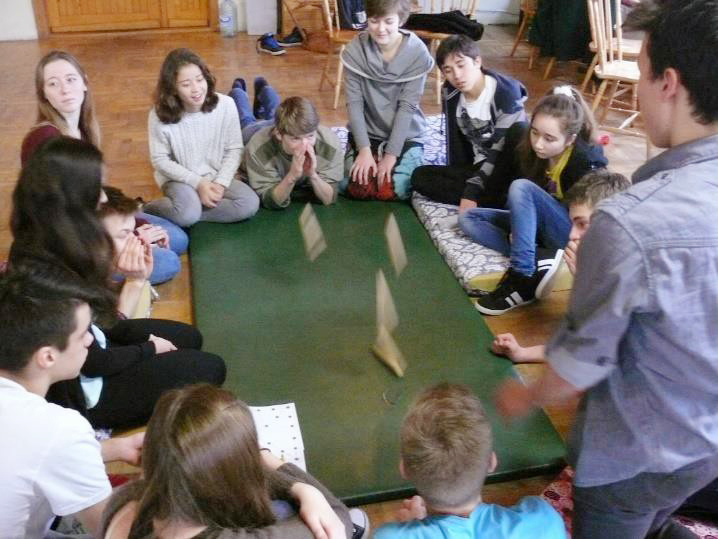 All of us managed to practice: forgive – love – unite contributing to the workshop success. As a result we have many reflections where lectures, testimonies, overall spirit, prayer with candles are most often mentioned as workshop highlights. Once again we could see that asking teams to sit together during lunch and lectures and separating sports time (swimming pool, sport hall) for brothers and sisters was a good practice. We recommend to include it in the next workshops. The size of the workshop – around 40 people (participants + staff members) seems to be better for Glanów training center in the winter than close to 60 that we had last year. But it could be bigger in the summer time for sure. Based on the reflections and staff discussion hold after the workshop, the following areas should be improved next time: foresee more activities in teams, leave more free time for participants, divide lecture sessions into shorter parts (90 minutes sessions were too long), move challenge day earlier in the workshop schedule, find the way to teach participants to pray in public, have more sport activities for brothers, check whether division of participants into teams differs comparing to the previous year and put more attention to youngest participants. Generally the workshop was very good. We could see the incredible spirit of unity and purity among participants. It was expressed by many participants in their reflections. Some of the participants really improved from previous workshops and it was noticed by many staff members. Almost all reflections were written in English, which was a nice surprise for us. Eldest second generation from Poland who were involved in preparation, proved to be very responsible. It is clear that we can give them more responsibility in the future but we also need to support them with proper education and training in this area. For the future workshops we envision to pass more responsibility to them reserving only key positions for second generation from abroad or first generation staff. Finally we would like to express our gratitude for the help we obtained in conducting this workshop from many people and communities. Our special thanks go to Joyce Koetsier, Rieko Tanaka, Gotfried Bruins, Barbara Yurkina, Aram Karagezian, Jacek & MiKyung Czyszczoń, and of course Krzysztof & Marta Krall. “Now I want to forgive more people. I want to be more open with people I don’t like or if they are always alone. I want to be strong and kind so that my parents can be proud of me”.